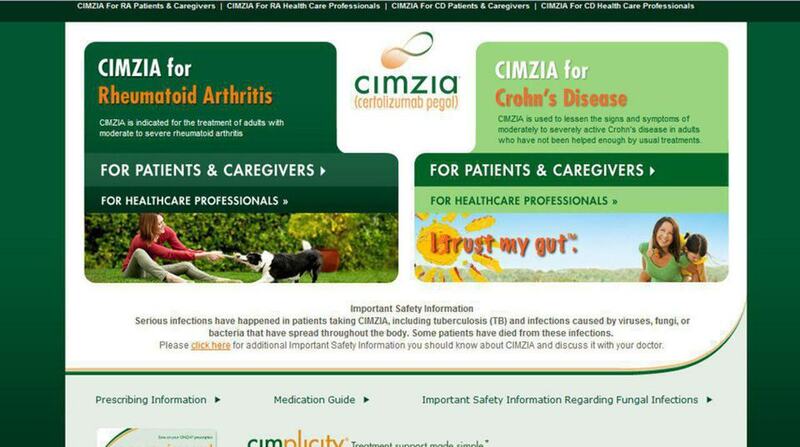 CIMZIA was a consulting project for Heartbeat Ideas - a New York based digital agency specializing in pharmaceutical clients. 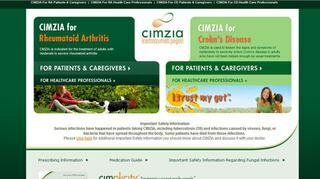 Most of the work involved front end development changes and bug-fixing tasks for an informational website for CIMZIA, a pharmaceutical for the treatment of rheumatoid arthritis and Crohn’s disease. The ASP.Net back end and design of the site was completed by the team at Heartbeat Ideas, in conjunction with the client and other third parties.